This Nauticat 36 is the perfect North West cruising boat. With inside and outside steering, forced air heating for those cold rainy days and a Ford Lehman engine for economical cruising on those windless times. A tough, well built family motorsailer in great condition and ready to go. Important upgrades to this, already special boat, include professional replacement of the teak decks with fibreglass and Kiwi Grip non-skid, hydraulic steering, epoxy barrier bottom coat, and a recent complete rebuild of the engine and transmission. This boat is fully equipped and ready to cruise. Just add your personal gear and cast off. S/V Minx has been well loved and enjoyed by her current owners. You can see the care the put into her and the pleasure they get from keeping her in top form. Systems and fittings are all kept in great working condition and upgraded to provide the utmost in safety and security for their many adventures. Her very comfortable and practical layout makes her amazingly roomy inside, with wonderful entertaining and relaxing space in the pilothouse, a super spacious master stateroom, a nice open galley and dinette and generous guest cabin. Teak throughout makes her feel warm and inviting. The current owners have enjoyed cruising to Mexico aboard Minx but feel that cruising the Pacific Northwest and Northern British Columbia is where she really comes into her own. On winter days they have enjoyed the beauty of the British Columbia coast from the comfort of the snug, forced air heated pilothouse. In balmier weather, they feel free to choose the convenience of motoring or the peace of sailing, as dictated by their feelings and conditions of the moment. With more space inside than a typical 40 footer, including their private retreat in the spacious aft cabin, they always enjoy including friends and family in their cruising lifestyle. She is a perfect all-season cruiser, comfortable in all weather conditions. This comfortable space does double duty as the salon and as the inside helm station. An L-shaped settee and table to port along with along with another seat with a personal-sized table to starboard give lots of comfortable room for relaxing and entertaining. The big windows all around make her bright and open feeling, letting you enjoy the scenery in any weather. The huge opening skylight lets you keep an eye on the sails as well as letting in the sun and breeze on balmy days. The big nautical styled wood and stainless steel wheel with the hydraulic steering system is here for total control when it’s needed but steering is easy with the handy Raymarine 400 Autopilot control unit. The almost new combined chartplotter, depth and radar display, with its generous 10″ display, give you total visibility for navigation and safety. The Standard Horizon Eclipse VHF and Icom 710 SSB radios provide the communications. You will also find full engine instrumentation and the remote control for anchor windlass. A few steps down to aft leads to the master stateroom. This is a wonderfully comfortable room, with a high ceiling and lots of space to move around. The full double berth is to port. To starboard a nice counter can double as a desk or dressing table. The hanging locker beside the stairs, drawers under the berth and cupboards under the counter to starboard provide plentiful storage space. The en suite head includes the vanity and an ultra reliable and easy to use Lavac vacuum toilet. A few steps down a forward from the pilothouse leads to the lengthwise galley to starboard and the u-shaped dinette to port. In the galley, are a generous stainless steel sink, a two burner gimballed Force 10 stove/oven and Isotherm refrigerator. Cupboards above and below, a pantry, along with drawers and lockers under the dinette offer plenty of storage. The dinette is comfortable with thick cushions and plenty of room for six. It also converts to another double berth. The wide passageway and portlights on both sides and above make this a bright and open space, and a pleasure to be in. Moving forward, to port is the guest head, with a sink, shower and another ultra reliable Lavac vacuume toilet. Here you will find a comfortable v-berth with a centre insert, making this a full width bed. The starboard side is extra long for taller guests. Storage space is plentiful, with a generous hanging locker to port and huge lockers under the berth. The outside cockpit and helm is aft of the pilothouse and raised for great all-round visibility forward over the pilothouse. Garmin 3210 10″ colour multi-function display with chartplotter, radar and depth display with 7″ full function repeater at upper helm. Minx’s ketch rig means manageable sail sizes without sacrificing power. The mizzen adds great options for balance and control, especially in heavy weather. 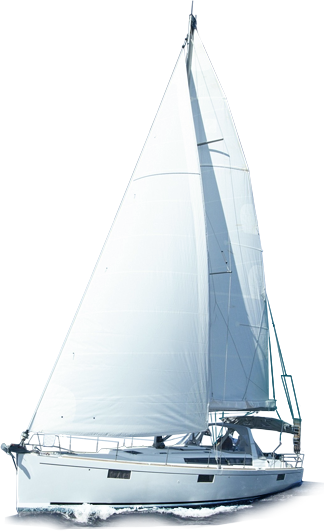 The inner forestay and sail, can be installed for even more options. The owners are very proud of Minx and would be pleased to orient her new owners to their new vessel.